You are here: Home / Uncategorized / Does Missouri have what it takes to advance? Does Missouri have what it takes to advance? You’ve been reminded of the Memphis Tigers’ Conference USA winning streak. Now at 62 games. 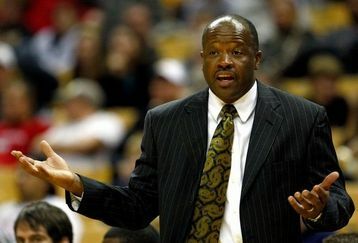 Their last loss coming at the hands of the Alabama-Birmingham Blazers when they were coached by Mike Anderson. "Different teams, different years," Anderson explained on Monday following the Tigers win over Marquette. "I thought we (UAB) were a dynamite defensive team, we were scrappy and tough, and I had some seniors." I got the sense that day that Anderson was trying to play down the fact that he had beaten John Calipari and he’s exactly right, different players from three years ago, it has no effect on this Sweet 16 matchup between Missouri and Memphis…or does it? Come to find out after Wednesday’s press conference with the Tiger players is that Anderson filed that game away and when he first came to Missouri, he played that game for Leo Lyons and Matt Lawrence and the rest of the team at that time. He showed the players what he wanted to the Missouri Tigers to become. How ironic, that now Coach Anderson will get to see just how far he has developed this program. He used his UAB team as a measuring stick to a program like Memphis. Now that same measuring stick will be used tonight with the Tigers. Anderson talked about having senior leadership on that UAB team. He often points to the leadership of DeMarre Carroll, Leo Lyons, and Matt Lawrence. There is no doubt that the Tigers are scrappy and tough, but will they be able to handle the size and speed on Memphis’ inside game. Calipari’s team showed that if you leave them open on the outside like Maryland did, they will hurt you. In that win over the Terps, Memphis shot 72% in the first half and 77% from beyond the three point line in opening up a huge first half lead. If Mizzou is going to win, they must defend the outside shot and play physical inside, much like they did to Blake Griffin when they beat OU at the end of the regular season. Listen to the players and Anderson from their press conference late Wednesday afternoon.